It wasn’t until last week that I realized the ACLU opposed gun control. The co-chair of the Colorado ACLU announced his support for use of guns in self-defense on Facebook. Unfortunately, in the resulting furor he was forced to resign. Indicating that he owned a firearm apparently was too much for his colleagues to bear. Maybe his colleagues had a point in getting him to quit. While Donald Trump isn’t my style, threatening to execute his supporters is a bit much. Of course, he’s not the first Republican to be the target of Hitleresque insults. They illustrate how intolerance has come to dominate much of modern liberalism. Unfortunately, that philosophy also has taken over the agenda of the ACLU. Not only is it frustrating to have a powerful organization working on the wrong side of so many issues. It’s also a great name. Liberties once were understood to be freedoms responsibly exercised by individuals held accountable within a system of ordered liberty. That’s why I wish Mr. Wirbel’s rather lurid suggestion actually sprang from a principled belief in the liberty to own guns. Although I’d advise him to ease up on the Trump supporters, at least he would be actively upholding one of Americans’ most basic civil liberties. Alas, that’s not to be. Indeed, Mr. Wirbel apparently doesn’t even believe in the ACLU’s work on free speech. When challenged on Facebook, Loring explained that Trump was a “hate-speech felon who should be in prison.” While later calling that “a little droll,” he declared in a letter-to-the-editor that “hate speech” was not protected by the First Amendment. You don’t want to be on his naughty list! As for Christmas, I don’t know what Mr. Wirbel believes about religious liberty, but I do know the ACLU is always ready to punish people for living their faith in the name of “civil liberties.” For instance, on its website the ACLU lists “religious liberty” among its issues. Yet of four categories, only one, “free exercise of religion,” actually has anything to do with religious liberty. The other three are excuses to restrict free exercise. One is “government promotion of religion,” which the ACLU interprets to mean as even the smallest mention of religion, such as erecting a cross at a veterans’ memorial, in a nation founded by people of faith. Then there’s “religion and public schools,” which requires excommunicating religious people from a public institution which they are forced to fund. Worst of all is “using religion to discriminate,” under which the ACLU seeks to ruin anyone with the wrong religious beliefs. Want to be a photographer? Then participate in gay marriages or face bankruptcy. Where’s the freedom in all that? In the ACLU’s view, only the religious person gets no liberty. This kind of anti-liberties philosophy wouldn’t mean so much if government remained small. Even a true “wall of separation” wouldn’t be that important. There’d be no crèche at the courthouse at Christmas, but everywhere else would be open. However, since government has taken over education, welfare, health care, and so much more, it means the ACLU is busy trying to limit people’s liberties everywhere. There’s also the ideologically-driven war on “discrimination,” which increasingly turns business and other decisions over to government. Most of this has no conceivable relation to “civil liberties.” For instance, the ACLU indicates its outrage over “business owners refusing to provide insurance coverage for contraception for their employees.” Are free hair transplants also a “civil liberty”? Is there anything business has the liberty not to pay for? Finally, there’s “criminal law reform,” which really means the freedom of criminals to get away with their crimes. The liberties that deserve the greatest protection are of the law-abiding, and especially the victims of crimes. That’s why I thought it would be nice if an ACLU member actually endorsed using guns in self-defense. 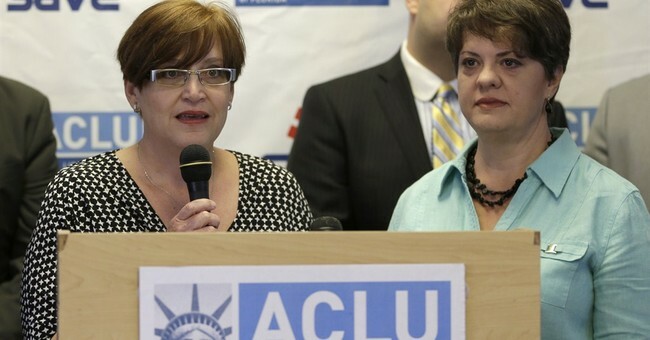 However, the ACLU actually is determined to impede the police protecting the rest of our liberties. That includes fighting terrorists, who don’t believe in freedom for anyone, except their right to kill us. Positions like that are why I’d like to get the name back from the ACLU. Alas, despite my hope that the ACLU had reformed, it hasn’t changed its position on gun control. Or on anything else.